"An outbreak of common sense?" THE council chief sacked over the Baby P abuse scandal is claiming ministers acted illegally by firing her. Sharon Shoesmith, 55, who was dismissed last month for “devastating” failures, is fighting for up to £173,000 compensation. A 500-page dossier claims both Children’s Secretary Ed Balls and Haringey council broke the law by firing her. Her lawyers say the damning report into the scandal which led to her dismissal was untrue. 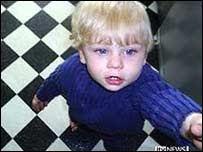 Mrs Shoesmith, who is understood to have hired Ken Livingstone’s former lawyer Tony Child, refused to apologise or resign from her £110,000 job after 17-month-old Baby P died of abuse while he was on the council’s at-risk register. Be sure to check out some of the readers’ comments on that. They don’t mince words. It seems Ms Shoesmith did not have to wait her fortnight (that’s two weeks for my American readers!) for a decision. 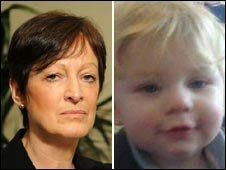 The former head of children’s services at the centre of the Baby P case has lost an appeal against her dismissal. Sharon Shoesmith was sacked by Haringey Council last month after a damning initial report into her department’s role into the 17-month-old’s death. 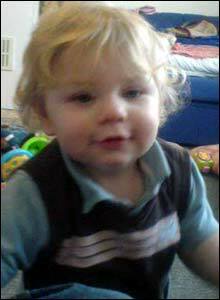 The toddler, who was on the council’s “at-risk” register, died in 2007 after suffering a series of major injuries. The north London council said the appeal had been rejected by a panel of councillors. I would say that there are no winners in any of this. Upon reflection, though, maybe any future children in care may be the winners. Not only will Ms Shoesmith never again be in a position to a be grossly negligent in her duty, but perhaps also, any other workers whose job it is to protect the weakest in our society will be more vigilant. Maybe – just maybe – in future cases, some employee will blow the whistler on obvious cases of child abuse. …Ms Shoesmith’s appeal hearing before a panel of three Haringey councillors began on Wednesday last week and lasted three days. A Haringey Council spokesman said: “A panel of councillors has rejected an appeal by Sharon Shoesmith against her dismissal on December 8 2008. I expect Ms. Shoesmith will continue to feel hard done by, and wrongly dismissed, etc. etc. Be that as it may, it is my fervent hope that ALL future employees responsible for the safety of these precious littlest heroes, use a LARGE dose of common sense, at the very least. The Baby P’s of our world deserve that, and so much more. Filed under: Baby P, Haringey, Shoesmith |	Comments Off on "An outbreak of common sense?"